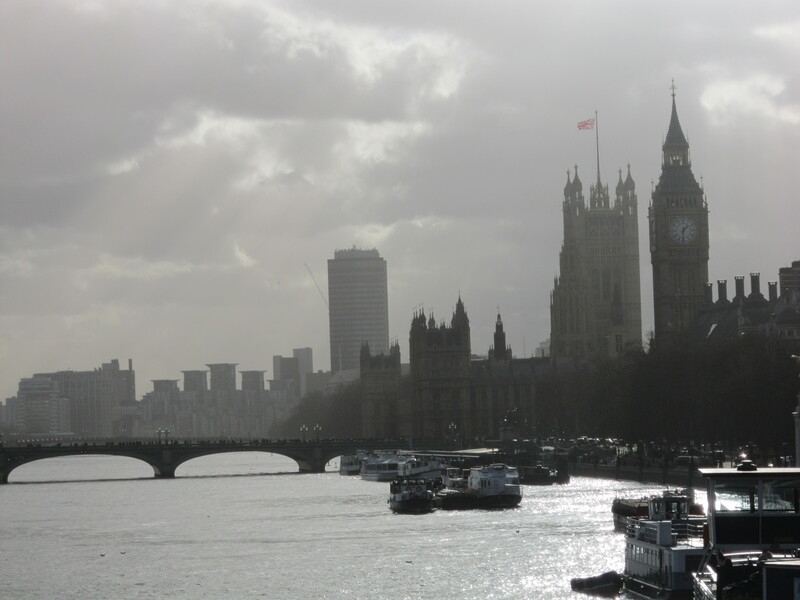 If you want to get out of London, there are tons of places to visit on day trips. Whether you want to see castles, old English villages, or just explore the countryside; everything is just a short train ride away! I went on several day trips, two of which were with a tour that provided a coach; otherwise I took trains and buses. The two tours I went on were both to three different locations and the tour company is called Evan Evans. I would definitely recommend them! It usually ends up costing about $100, which is pretty steep, but includes your transportation, tour guide, and entrance fees. There’s no way you could hit up three major locations on your own in one day (unless you rent a car) and entrance fees can be expensive and likely don’t include guides, so it’s a good way to go if you don’t have a lot of time. First, if you like castles, there are quite a few options. 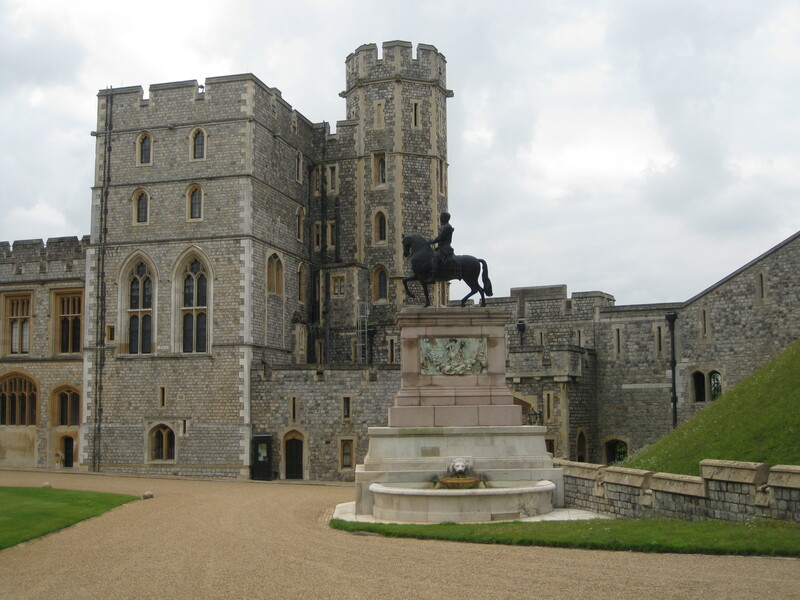 Windsor Castle is definitely the most extravagant and is the Queen’s favourite place to stay. You can walk around the town of Windsor and all around the castle grounds. The best part is definitely the state rooms, which are crazy extravagant! It’s a good place to go if you’re interested in seeing how royals still live. Windsor is not that far outside of London, probably only about 45 minutes on the train, you can get there from either Paddington or Waterloo Station. Hampton Court Palace is very close to London as well, the train leaves south from Waterloo Station and only takes around 30 minutes. Hampton Palace is interesting because the palace was actually constructed in two different periods and is both Baroque and Tudor. The palace itself isn’t as exciting, but there’s some beautiful gardens to walk around in outside and Hampton itself is quite nice! The other castle I visited was Warwick Castle. Unlike Winsdor and Hampton Court, Warwick Castle doesn’t belong to the Royal family. It was actually purchased by Madame Tussauds (the wax people) and as a result it’s incredibly fun! It’s a great place to bring kids (or not) as they’ve put a lot of time into transporting you back to medieval times. 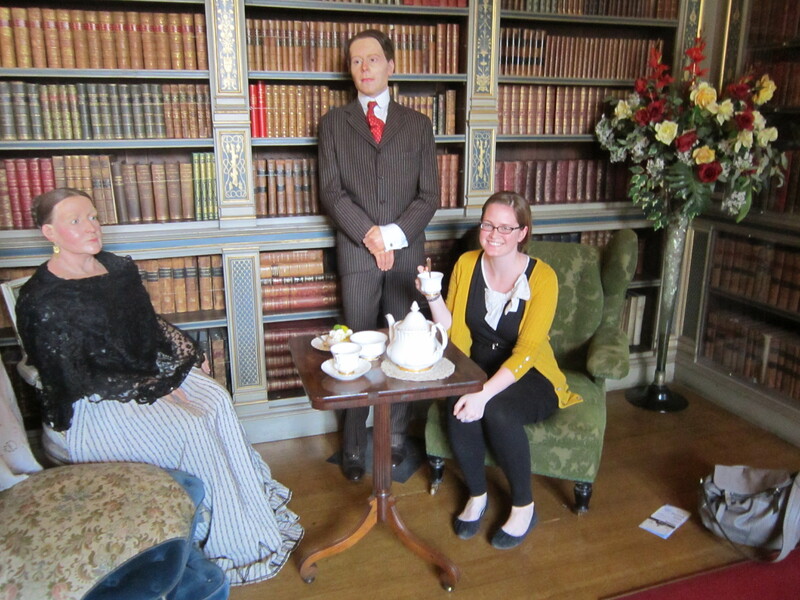 You can walk through all the state rooms, which now feature lots of wax figures dressed up for the era. You can also climb up the castle towers and walk the entire way around the castle walls. There’s a great view of the river and the surrounding area! There’s also a few exhibits and lots to learn. It’s definitely more of a novelty castle. There are also some great towns to visit around the country. There are lots of small villages that still have stone houses and even the occasional house with a thatched roof. I visited Stratford-Upon-Avon on one of my tours, which is the birthplace of Shakespeare and a nice town. You can visit the house where Shakespeare grew up and there’s a nice walk along the river, but that’s about it. It’s located out in the Cotswold’s though, which is a gorgeous area of England with lots of fields, forests, farmland, and wildlife. 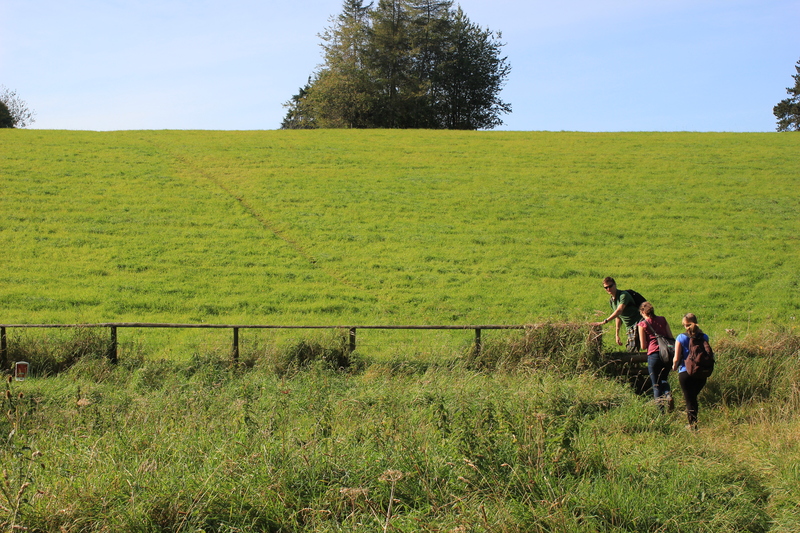 I spent one Saturday with my flatmates trekking through the countryside. We visited a village called Cirencester and went on a beautiful walk through the woods and fields. Bath is also a beautiful town. 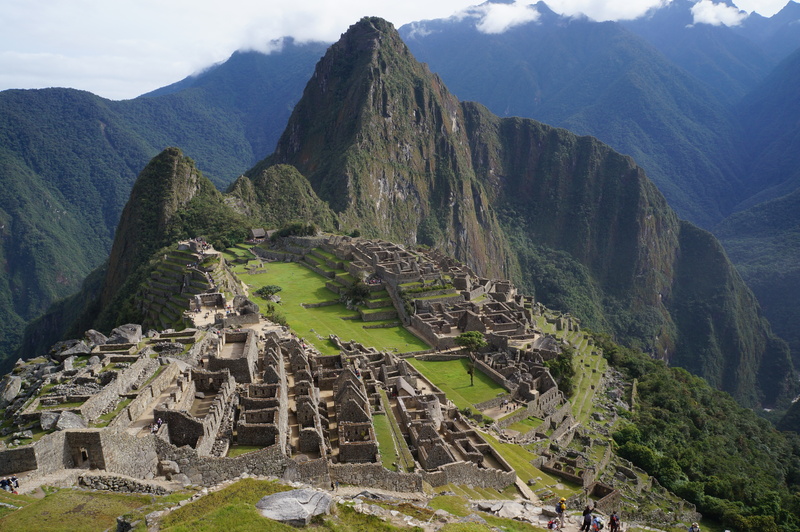 It’s very popular among tourists and is really scenic. All of the buildings are made from the same yellow stone taken from a quarry near the town. For some reason, the monotony of colour in Bath is actually really nice. 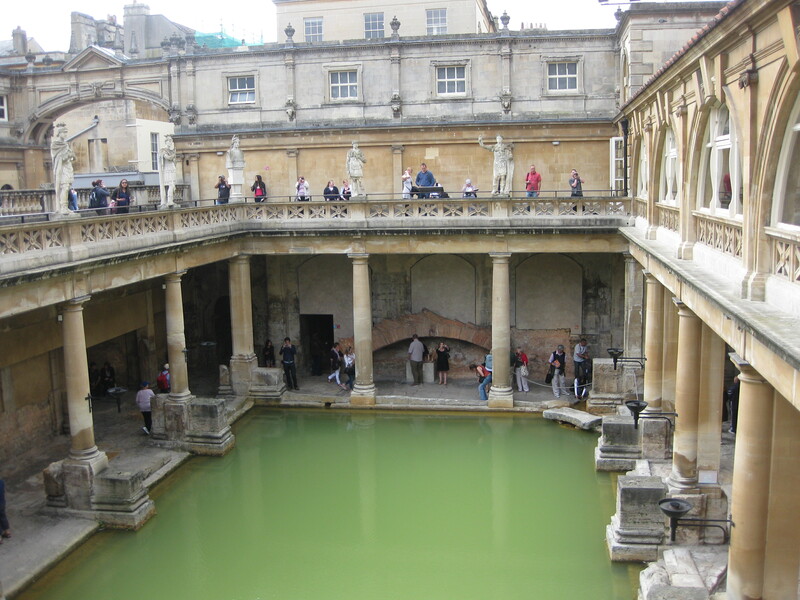 The Romans once settled in Bath and it’s named from the ancient Roman hot baths that are still there. You can visit the museum, walk along the baths, and see lots of old artifacts. The centre of town also has a nice river running through it and is a nice place to eat lunch. They have fantastic Christmas markets as well if you happen to be visiting in December. 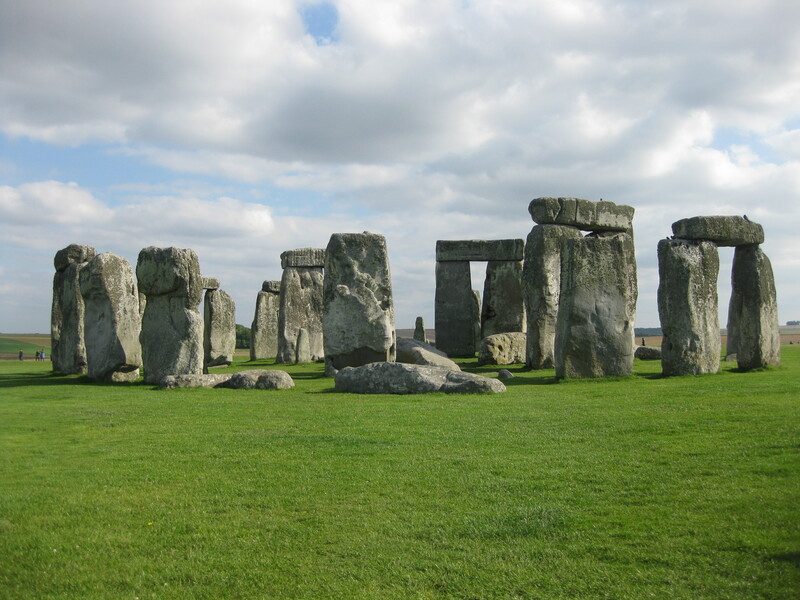 Another attraction that is really close to Bath (a good chance to hit two places in one day) is Stonehenge. Unfortunately, I do think Stonehenge is a bit overrated. The illusion of mystery is ruined a little bit with the site being located right next to the main road. They have it all gated off from the road and they make you pay a lot just to cross over into the enclosed area. It doesn’t really seem worth it when you can see it from the road, and even after paying, you still can’t go within 15 feet of it. I am glad I went though because I did want to see it, but be prepared for what might be a disappointment. There’s also the Universities, Oxford and Cambridge are both about an hour outside of London and are definitely both worth a visit. 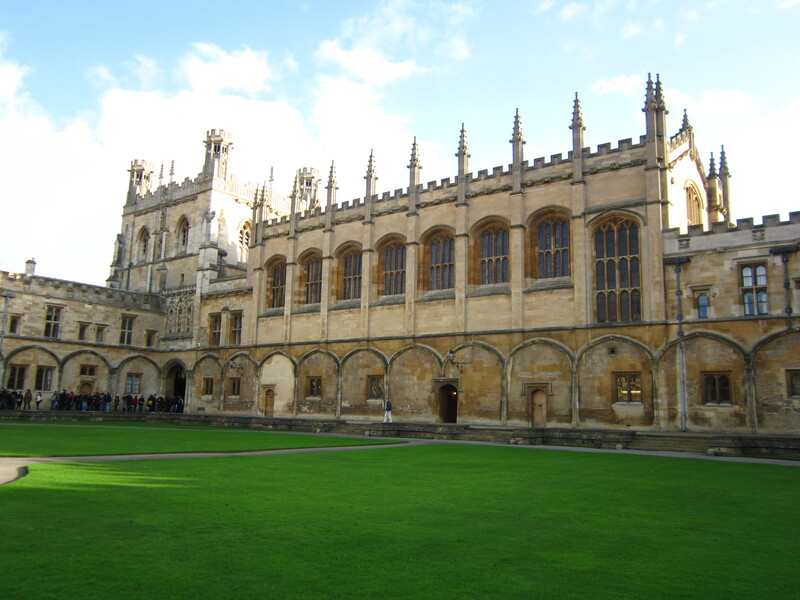 I visited Oxford twice because I’m obsessed with Harry Potter and my friend was studying there, but I absolutely loved it! So many scholars have studied there and everything is so old and has a feeling of magic about it! I loved walking around to the different colleges and around town. The experience was probably better for me though where I got the inside scoop from my friend, but I would still definitely recommend it. My favourite places were the Eagle and Child Pub, where JRR Tolkien and CS Lewis used to meet up, and Stockwells Bookstore, which is amazing! I’ve never visited Cambridge, but I feel comfortable recommending it anyways because everyone recommended it to me and they all told me it was even better than Oxford. 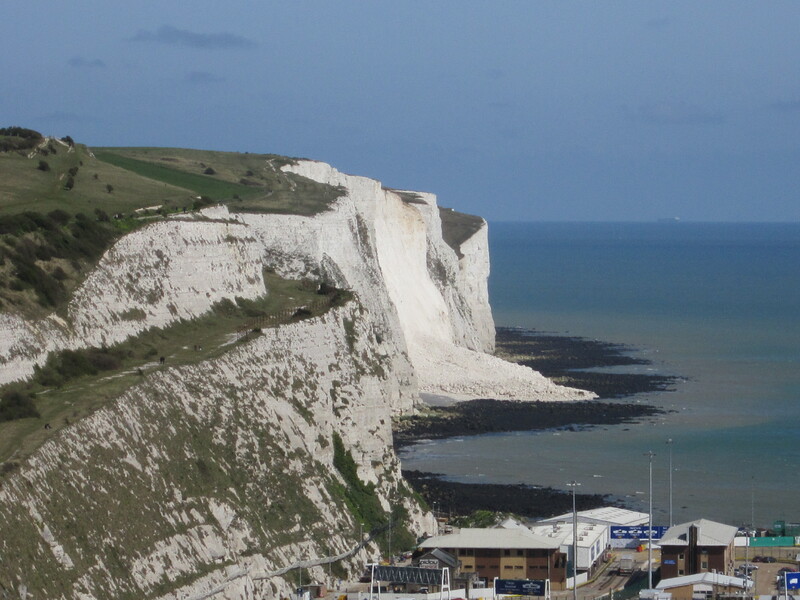 Finally, the last day trip I took was out to County Kent to see the white cliffs of Dover. It’s a bit of a long day trip if you take the bus, which I did because it’s way cheaper than the train. It takes about three and a half hours on the bus, and about half that on the train. But I really wanted to see the cliffs, so I made the trip out. It’s definitely tricky seeing the cliffs from the town, most people view them from the water, but you can get a good glimpse of them if you walk to the coastal part of the town down by the ferry port. I also spent half my time at Dover Castle, which is really well done. My favourite part was the secret war time tunnels, which is where troops stayed in order to quickly travel to France. The tunnels are built right into the side of the cliff, with the occasional small window looking out. There’s not a great view of the cliffs from the Castle since you’re sitting right on top of them, but you can see parts of it further away. I enjoyed the trip out there, but it probably would have been better and easier if I’d gone on a tour instead of independently.